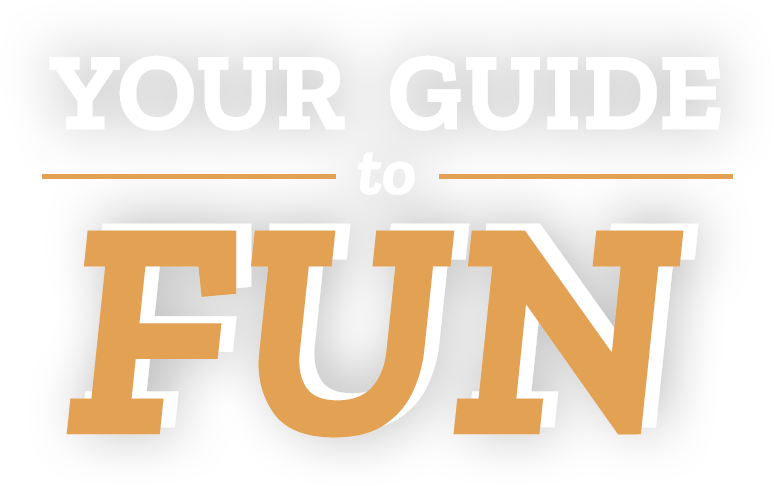 See the STL with in-the-know pro tour guides. Custom itineraries cover everything from top attractions to off-the-beaten-path places. A free trolley from Ballpark Village whisks you to the Anheuser-Busch Brewery Tour to visit the home of Budweiser and the world-famous Clydesdales. 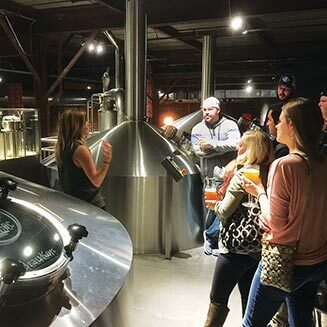 If you’re 21-plus, there are two great options: board buses for Brewery Tours of St. Louis or Crooked Craft Brew Tours for a 3.5-hour jaunt to several flavorful craft beer houses. Pedal pushers roll along with City Cycling Tours of historic Forest Park that depart daily from the park’s Visitor Center. Glide along the Mighty Mississippi for a narrated history tour of the Port of St. Louis on an authentic Gateway Arch Riverboats paddlewheeler. 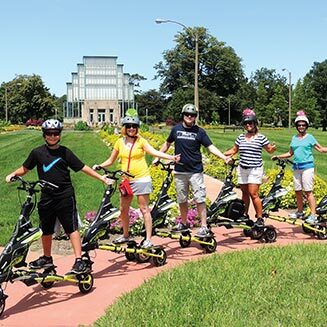 Trikke STL Guided Tours share scenery and stories on three-wheeled electric trikes through Forest Park, Downtown, historic Soulard, Lafayette Square, Tower Grove and many more. Clip clop along Downtown St. Louis streets aboard a St. Louis Carriage and Trolley Company horse-drawn tour or hop on the St. Louis Fun Tours trolley for a 23-mile, 75-minute trek through town. Show Me MO Tours creates personalized itineraries ranging from boutique shopping to blues music aboard its shuttle. EAT St. Louis Food Tours takes you on a tour of seven-plus tastings in The Hill and Soulard neighborhoods. 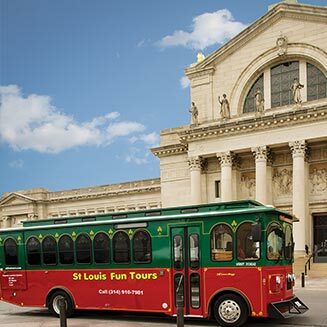 Limitless Planet Tours and Sunrise Tours both transport you to STL neighborhoods and attractions with fun themes. Encounter the spirits of St. Louis on a Riordan Tours Haunted History Walk. At Bellefontaine Cemetery, complimentary gravesite maps offer biographical information on William Clark, Adolphus Busch and other famous St. Louisans interred there. For an invigorating view of the city, Big Muddy Adventures takes you on a guided tour via kayak of the mighty Mississippi River. Explore more exciting itineraries for your St. Louis getaway.